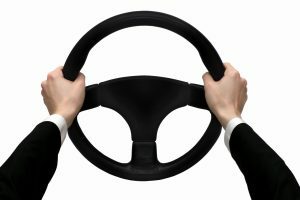 Ever notice that when you turn your car off, your steering wheel is suddenly hard to move? That’s because the steering in most modern vehicles is assisted by a finely-calibrated pressure system that gives drivers more sensitive control. This is called power steering, and when it isn’t functioning properly, it can be very difficult to operate your car safely. If you’re having problems with your power steering, we invite you to contact us at AutoImports of Denver. For nearly 34 years, our expertly trained auto repair professionals have been changing the way our customers think about car service. We’re ready to assess the condition of your vehicle, walk you through your repair options, and ensure that you feel good about getting back on the road as soon and as safely as possible. Your car has an electronically or mechanically powered belt that drives its power steering pump. This pump pushes steering fluid to the steering gear, which allows for smooth, responsive steering control while you’re driving. Over time, however, this fluid can become contaminated and less efficient. At AutoImports of Denver, our skilled ASE-certified power-steering technicians are ready to assess the condition of your power steering system and if necessary to perform a full power steering fluid flush to clean it out and restore it to functionality. We proudly use ATE Germane made power steering fluid and power steering system cleaners for these procedures, and we’re ready to provide your vehicle with new steering fluid that meets the manufacturer’s specification. If there is another, more serious problem with your power steering belt or pump, our professionals can provide you with repair options for that too.